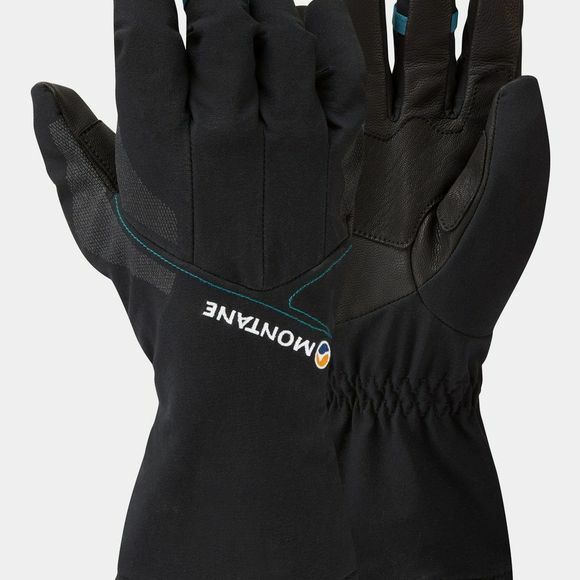 The Mens Alpha Glove from Montane, is one of the most cutting-edge, high performing softshell gloves on the market. A Schoeller outer fabric with its 3XDRY finish provides extreme protection from the elements whilst a Polartec Alpha Direct lining, with a superior warmth to weight ratio and great wicking properties, keeps hands warm and dry. It also includes 60g of PrimaLoft Gold Eco Insulation to provide extra warmth for the harshest of conditions. Together with supple yet tough goat leather palm and fingers, the Alpha Glove offers brilliant performance in a comfortable, dexterous package.